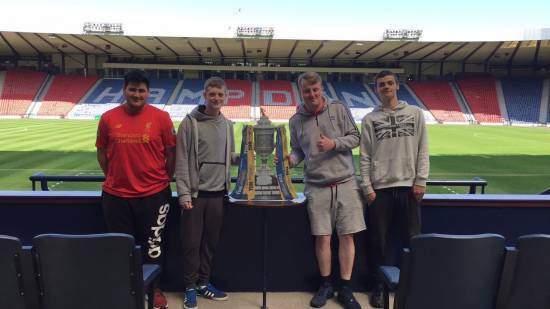 This week we took a group of our keen young footballers for a day visit to Scotland’s national football stadium, Hampden Park. The group were warmly welcomed on their arrival and shown around the Museum and Hall of Fame before being taken on the Grand Tour of the Stadium. A fantastic day was had by all, and the football didn’t end there as we stopped off to play football in Greenock on our way home with Street Soccer Scotland.